Leveling up your game in the business horizon is impossible to achieve without advanced payment processing technologies. If you think merchant account services are all about accepting card payments at your stores then it is a great time to reconsider. The ways and scope of payment processing services is widespread and it has a lot more to do than payments through swipes. Echecks, as you know them, are the digital version of conventional paper checks, with added advantages of fast and easy processing. Consumers in the digitalized world prefer card payments over cash. E-commerce merchants adhere to give the wide range of payment processing solutions to their consumers. Owing to online fraud, it is not easy to set up a merchant account. Major banks scrutinize and reject tons of applications for opening merchant account. Irrespective of the fact you are an e-cigarette merchant or run an online pharmacy, banks are not really keen to provide you with merchant services on the account of high chargebacks and online frauds. A large acquiring bank in 2014 decided to stop providing merchant services to many online pharmacies in Canada owing to high risk involved. Almost a year after it, the US Commodities Futures Trading Commission (CFTC) prohibited the use of credit cards for forex transactions. Last year, very few e-cigarettes or e-liquids got a green signal from the acquirers. Electronic check or Echeck is the lesser talked form of electronic payment. Here is why it must be added to your electronic payment tool set. Convenience is one of the most attractive benefits of using Echecks in your business. You need not fill the paper checks and deal with the discrepancy in name, signatures and other requisites. Possibilities of losing them on the way to bank are ruled out completely. They save your invaluable time as time taken in processing is highly reduced. Electronic check costs much less than a paper check. Approximately 50% of the amount can be saved on each check you deposit. Since electronic checks come with the benefits of automation and the reliance of the ACH network, they are considered to be much more secure than their paper counterparts. The encryption feature of electronic check minimizes the possibilities of confusion of names, signatures, amount and other details. Customers enter the details by themselves and hence errors are eliminated. E-commerce merchants can benefit largely from e-checks as these are accepted globally. There will be no restrictions in your business because of the online accessibility. Any currency and any global bank can get accepted with e-checks. 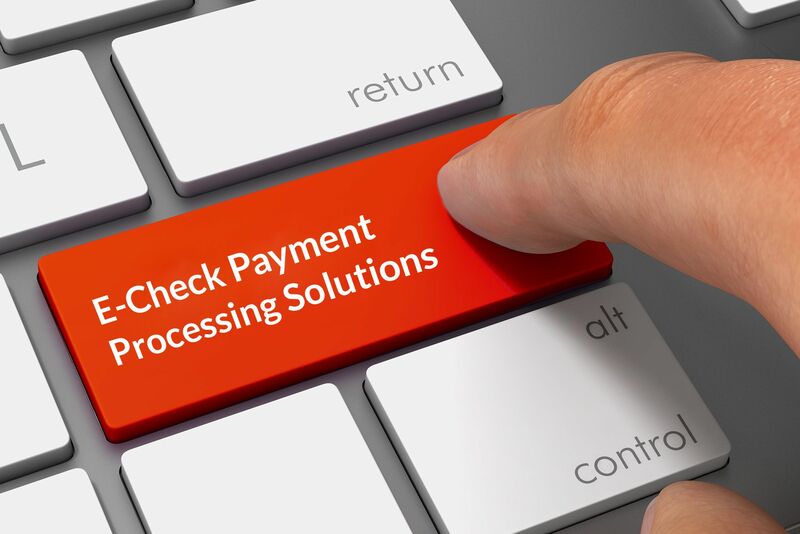 Businesses native to various industries can harvest the benefits of using e-check payment processing solutions but high-risk merchants, like CBD oil, Hemp Oil/Products, Multi-Level Marketing, Pharmacies, Nutraceuticals, Tech Support, Ticket Agencies and more shall definitely explore these solutions.